The big take on the next big one is where and when. A lot of indicators point to the Nankai Trough or a spot a lot closer to Tokyo than March 11 was. There’s also the real chance that it’ll be a bigger one: 9.5. For those who need a Richter refresher, each tenth of a point indicates a tenfold increase in strength; thus a 9.5 would be 50 times stronger than the March 11 event. Projections range from terrible to horrific, tsunamis in Tokyo Bay breaching the levees near Kita-Senju and flooding the subway there. Whose prediction/projection is closest doesn’t matter. What does matter is that there’ll be millions of people needing to evacuate office buildings with collapsed partitions or equipment, stairway lighting that’s not working, stairways that are partly blocked and streets that are filled with debris. Vvego (www.vvego.com) has been mentioned in previous Metropolis articles, but for their accessories. Last year they launched luggage, with head Robert Porter promising more this year. What’s interesting here is the Tool Roll, which dons a yellow color that remains visible even if all lights are out. Designed to carry multiple items in one piece of luggage, the Tool Roll still rolls up small, slingable over the wearer’s back. 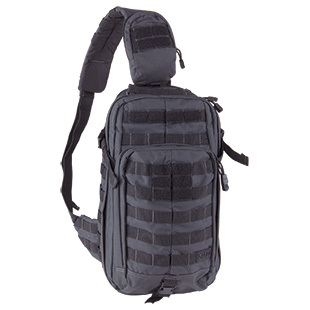 One step up from the Tool Roll is Rush Moab 10 from 5.11 (www.511tactical.com). This is black—the get-out-of-here Bat Bag. Although larger than the Tool Roll, it can also be carried like a sling bag, leaving your hands free. The bags are containers providing easy access to items you might need in an emergency, which saves seconds—and seconds can mean lives. 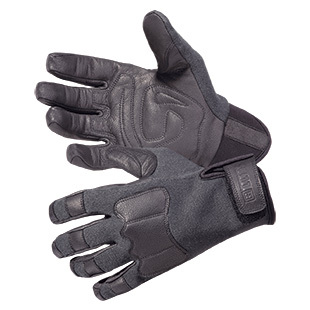 5.11 also offers gloves—something often forgotten when assembling survival gear. 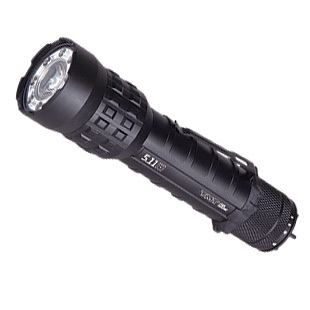 The 59431 Tac AK2, made of Kevlar, are flameproof and slash resistant. I’m used to operating tools with my hands, but an earthquake is a situation where lots of debris can cause deep cuts and lacerations. If your hands are cut deeply enough, your ability to use tools is compromised. The gloves also fold up nice and neat in whatever bag you choose. It’s best to start with a rescue tool, usually one that’s a combination of a belt cutter, a window puncher and a small LED. I carry one from SOG. My wife carries one from CRKT (Columbia River Knife and Tool, www.crkt.com) that’s barely the size of two credit cards. 5.11 makes a rescue tool that’s a bit larger than these and features two blades: a small one that works as a belt cutter and a one larger one that’s straight and has saw teeth at the end. Any of them works; go online or visit a nearby dealer and see which one’s suited to you. CRKT also makes what’s called a “tactical pen” in the U.S.—which we’d probably call a “strike pen” here. In the States these are used to fight off an assailant. In Japan, they double your chances of knocking off a piece of glass or plexiglass. 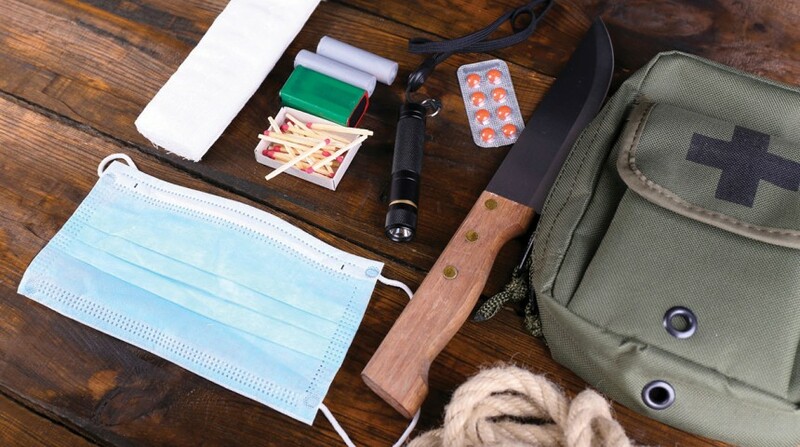 The essentials don’t stop with a rescue tool and pen: You may need a specific kind of knife. Mantis Knives (www.mantisknives.com) makes a pocket folder that’s of legal blade length in Japan and features a quarter-inch-thick blade. Read that again, because the significance might not be apparent. There are sheath knives that are thicker, but they’re for camping and no one’s going to be carrying one in an office. The importance is twofold: The edge on the Mantis will cut, and if it has to be used as a pry the average adult will be able to exert some serious torque without any danger of the blade snapping or bending thanks to the thickness of the blade. The other essential is light. In the aftermath of the quake, emergency lighting may be down and other power may have been cut. I was once in a zone that lost every kind of power for almost two days. There were a few flashlights in the house that kept me from tumbling down the stairs. In the months that followed, I wrote about lights from SOG and Innova; but in four years there’s been almost a generation of improvement in the kinds of lights available, their power and capabilities. It was the TMT R3 that first brought me to the 5.11 site. The light itself isn’t bigger or heavier than any of the ones I’ve seen. However, there are many advantages. First, it’s safe: Think of how many times you ran lights down because you forgot to turn them off. One click over is the main white light (357 lumens); another click, four smaller red LEDs; another, four blue LEDs. And it can be recharged either from a normal electric circuit or car battery. When you have no power but have a full tank of gas, you can charge this easily. Not having a light isn’t a choice any more than not having a bag, tools and a plan. There are lots of add-ons, such as the ceramic drinking water straw that will filter out most impurities, as well as essentials like your favorite energy bars and anything else you might need or want in these times. These items are offered as a place from which to begin, not a place in which to end.